I have 3 furbabies and they are a huge part of my family. I can't spoil them the way I want to, but I can offer them good treats that are healthy and easy on their stomach. 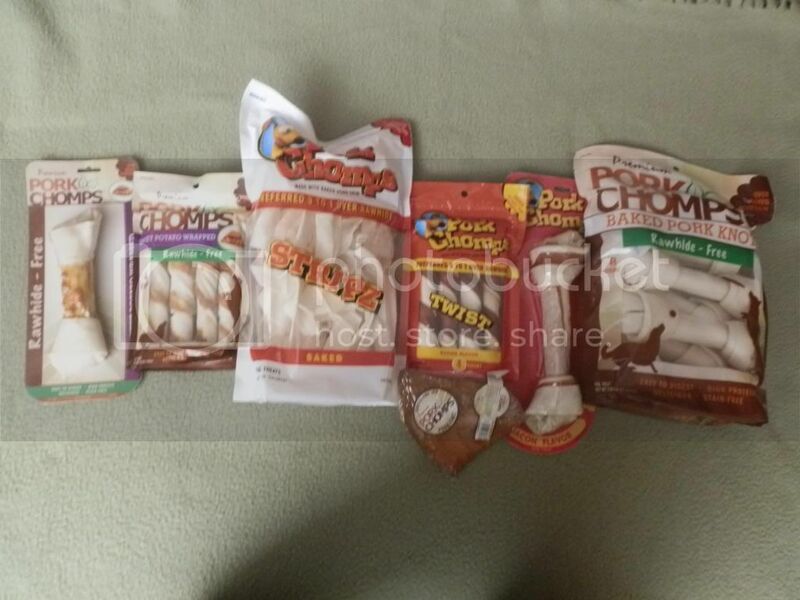 Mommy Moments with Abby's review of Scott Pet's Premium Pork Chomps: There are so many treats out there for pets. When my pups were younger we could give them anything and they would gobble it up. Now that they are older, I've noticed that some things sit in their belly's more than they use too! I was very happy when we got these as they were easier on their stomachs. I noticed that the dogs seem to think they were just as tasty as their normal rawhide treats. They came in a variety of shapes and flavors which made it easier to give out treats based on the need at the time. The strips were good for a quick treat, while the baked pork knots made for good sit down for a long chew treats. The pigs ears disappeared quickly, so don't plan on those being busy treats for your pups! We love these treats for our furbabies! Especially as they are getting older! Luckily for us we get to give 2 of you a bag of the Pork Chomps! Product Description: These chews are 100% rawhide free, and made from a healthier alternative: expanded, baked pork skin. 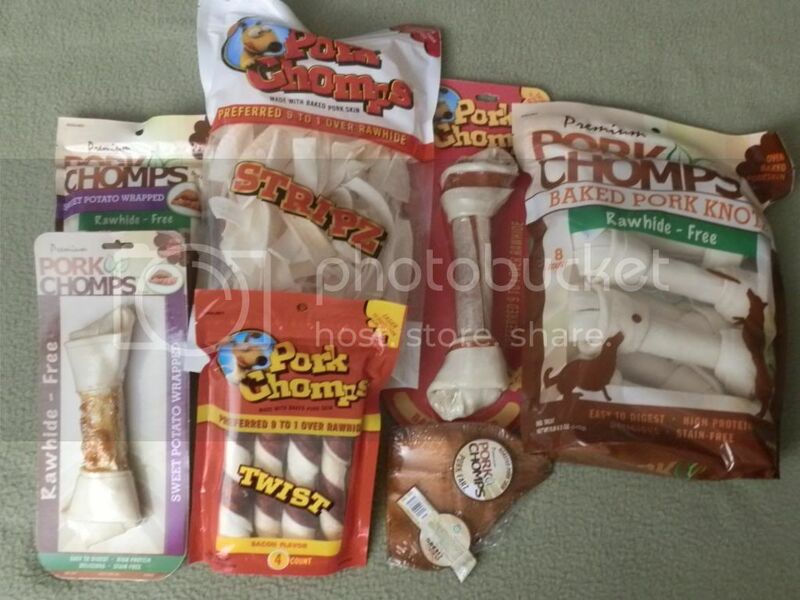 In fact, a recent university study proved Pork Chomps are 99% digestible, compared to rawhide chews, which are only 50-85% digestible. The same study also found that dogs that ate Pork Chomps had lowered triglyceride and cholesterol levels. Wrong question i am guessing but I love blue! Large! I've got a big dog. I have a cocker spaniel and dachshund so medium??? Oh I would need the large ones! I would choose the small-sized treats. I have two adorable Maltese dogs!